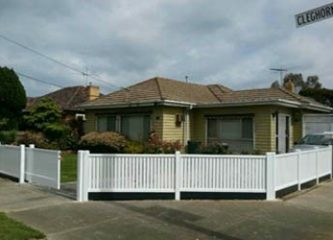 When it comes to providing our clients with a cost-effective fencing option that will look good, last forever and be low maintenance, we often turn to steel picket fencing. The beauty of this type of fencing is that it seems modern, yet elegant at the same time – and that’s often a hard balance to strike. The client also wanted an easy access point to their house, and we were able to provide them with a sliding automatic gate. Not only does the sliding gate provide them with easy access, but it also adds to the security and value of their home. 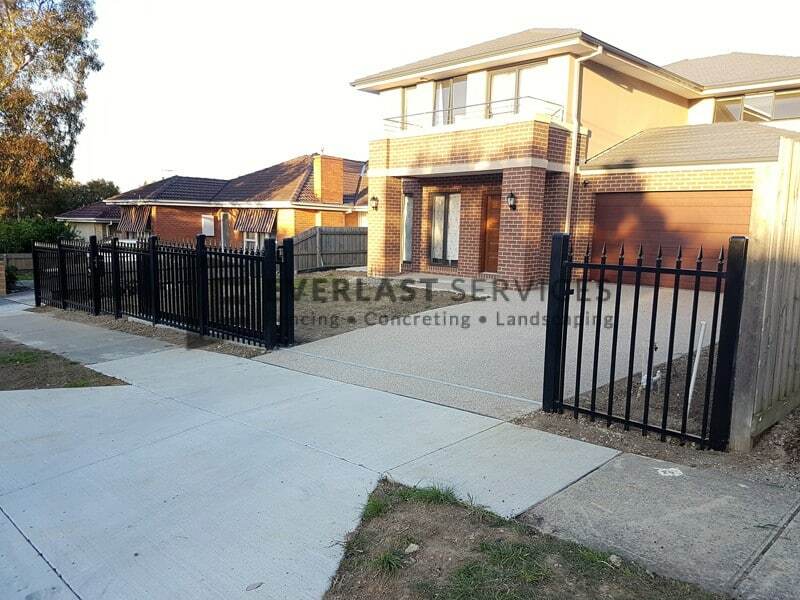 We opted for a sliding gate, to maximise the space in their front yard. We were able to provide the client with an unbeatable quote because we manufactured every part of the fence and gate system ourselves in our fabrication plant in Hoppers Crossing. This allows us to cut out the middleman and create huge savings, which we include on the quote. It also gives us control over the whole process. We know the quality of our materials because we made them, and we maintain strict standards of quality control from the design of the materials to the installation. The skill of our installation team is evidenced in their ability to deal with the sloping block that the house is situated on. Despite the slope, the fence looks wholly uniform and matches the lines of the house. This is vital in creating a blended façade, and ensuring the home has curb appeal. The spacing in the fence provides security, while also providing full visibility for the home and the front yard. 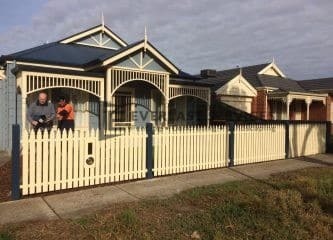 While the front garden is unfinished, the fence gives them ample design options, and the chance to present a stunning landscape to the rest of the street. 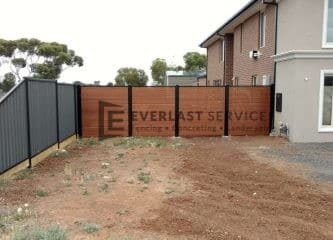 The team have once again, pulled together to deliver an amazing fence and gate solution for the client. Well done to everyone involved, and we know the owner will get many years of enjoyment out of their new fence and automatic sliding gate.